While the Earth was dominated by dinosaurs and conifers during the Cretaceous Period, early flowering plants and grasses were starting to evolve along with a number of small mammals. According to new research from Oregon State University, the USDA Agricultural Research Service, and Germany, the extinct Palaeoclaviceps parasiticus fungus was common to a number of grassland areas inhabited by dinosaurs during this time. With the recent discovery of a fungi fossil captured in amber in Myanmar, scientists now have proof that dinosaurs, grasses, and hallucinogenic fungi co-existed for millions of years. “It seems like ergot has been involved with animals and humans almost forever and now we know that this fungus literally dates back to the earliest evolution of grasses." said Oregon State University’s College of Science faculty member George Poinar Jr, adding "This is an important discovery that helps us understand the timeline of grass development, which now forms the basis of the human food supply in such crops as corn, rice or wheat... But it also shows that this parasitic fungus may have been around almost as long as the grasses themselves, as both a toxin and natural hallucinogen." While not exactly the same as modern ergot, the ancient fungi may have been used as a natural defence mechanism by grasses as a way to deter and repel herbivores. While its bitter taste has never been a preferred food for livestock or humans, according to Poinar Jr, it is highly unlikely that dinosaurs were not exposed to the fungus. 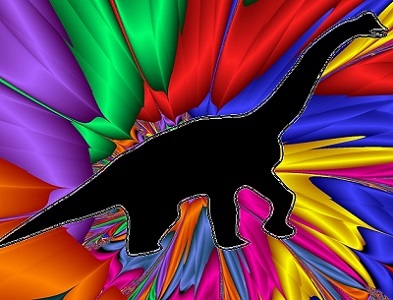 "There’s no doubt in my mind that it would have been eaten by sauropod dinosaurs, although we can’t know what exact effect it had on them.” said Poinar. Known to cause delirium and irrational behaviour among humans, who knows how the dinosaurs would have reacted to the toxin. The ergot fungus has had an interesting role in human history, having killed thousands of people during the Middle Ages through the disease Paspalum staggers. Ergot has also been used as a medicine to induce abortion or speed labour in pregnant women, and has possible links to the infamous Salem witch trials. In modern times, more than 1000 compounds have been extracted directly from the ergot fungus, including the recreational psychedelic LSD.